Approximately 20 percent of Americans report using alcohol to help them sleep which has led to the misconception that alcohol can aid in sleep. Alcohol causes drowsiness. However, alcohol negatively impacts the quality of your sleep, as well as how long you can expect to sleep. Alcohol consumption before bed causes interrupted sleep due to side effects such as night sweats and disturbed REM sleep. Insomnia, sleep apnea, and daytime fatigue are all alcohol related sleep disorders. Sleep disorders and alcohol dependency are often co-morbid, meaning people suffer both at the same time. Using Alcohol as a Sleep Aid and Why Is It a Problem? How Does Drinking Alcohol Cause Sleep Apnea? Is REM Sleep Affected by Alcohol? What Does REM Rebound Effect Mean? Does Alcohol Affect Sleep Differently for Men or Women? Drinking alcohol results in disrupted sleep although it does reduce the initial time it takes to fall asleep. Using alcohol as a sleep aid is dangerous because it can lead to dependence and worse, alcoholism. Drinking one drink at bedtime may initially work but eventually your body will build up a tolerance for it. The result is your body may need more and more alcohol to fall asleep which could lead to alcoholism. One drink before bed may not impact your sleep quality or length, however, the effects of alcohol on sleep are directly correlated. The more alcohol is consumed, the worse are the effects on sleep. Alcohol can induce or worsen the effects of insomnia. There’s a correlation between obstructive sleep apnea and alcohol consumption. If only for a night drinkers can still experience sleep apnea. Alcohol impairs breathing in sleep by relaxing the throat muscles. As the throat muscles relax, they narrow and obstruct the airway, resulting in snoring. Even people who normally don’t snore do so if they have been drinking the night before. Snorers without apnea can exhibit apnea symptoms if they have been drinking. The brain’s breathing center is also affected by alcohol, by masking the effect of low oxygen levels in the bloodstream, possibly damaging tissue. Hangover symptoms – attributed to the efforts of the body to metabolize alcohol – are frequently partially due to breathing-disordered sleep. Alcoholism and insomnia can both be chronic conditions and are often co-morbid or exist together. Insomniacs are more likely to drink before bedtime than good sleepers. Knowing alcohol’s ability to cut sleep latency times, insomniacs could be more likely to take a drink before bed – self medicating with whatever alcohol they can find. Maybe this works as a short-term fix, but for most people it is not a long-term solution. Frequent alcohol use can lead to dependency and over consumption, as alcohol changes the sleep cycle. Difficulty in maintaining sleep and sleep fragmentation are both common in alcoholics, both those who drink and those who are trying to quit. Those who are cutting back on their alcohol consumption often experience sleep problems. Insomnia is a symptom of alcohol dependence as well as a symptom of withdrawal. Therefore, alcoholics are likely to face sleep problems either way. Those in recovery should remember this. Poor sleep and the discomfort resulting from attempts to quit alcohol is a major reason for relapse in alcoholics. Conversely, people who do not get a good night’s sleep and are, therefore, tired during the day, are more apt to drink in the evening and at night. Not only is insomnia more prevalent in alcoholics (estimated as high as 45%), but the detox that occurs during the quitting process, increase the likelihood of insomnia even more. Studies of alcoholics who quit drinking have found it takes a while for sleep to return to a normal pattern. Addicts have fragmented sleep, and sleep fragmentation persists in abstainers for over a year. Sleep latency returns to normal a few months after quitting. According to the different stages of sleep, it is normal for your brainwave activity to change during the night. When you’re awake, you experience alpha brain waves. During the stages of non-REM sleep, you transition from theta waves to spindle waves to slow waves, and finally delta waves. Once you enter REM sleep, your brain exhibits alpha waves similar to those experienced while awake. People who drink alcohol before bed tend to exhibit higher amounts of alpha brain waves and delta waves than those who don’t. The combination of these two types of brainwave activity interferes with your sleep cycle and ability to get truly restorative sleep. The functions of calcium channels in the thalamus are disturbed due to chronic alcohol consumption, which is part of the brain involved in sleep regulation. Drinking alcohol alters the brain wave activity experienced during sleep. REM sleep accounts for approximately 25 percent of the sleep cycle. 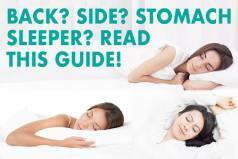 Your body needs the entire sleep cycle in order to get the benefits of a good night’s sleep. REM sleep is when dreams occur and you experience muscle paralysis. Your mind and body are renewed during this critical stage of sleep. During REM sleep, the brain restores neurotransmitters like serotonin and dopamine. These chemicals are directly associated with your mood, which is why a lack of REM sleep often results in crankiness, irritability, and overall poorer mood. Reduced concentration, impaired memory and motor skills are also associated with the lack of REM sleep. Many insomniacs drink alcohol before bedtime in order to reduce sleep latency. While alcohol does help people to fall sleep faster, drinking has been shown to result in low quality of sleep as measured by nighttime awakenings (fragmented sleep) and decreased time spent in REM sleep. Researchers have found in controlled studies with EEG monitoring, that REM sleep is suppressed early in the night, but REM rebound effect can occur in the second half of the night. The effect alcoholism takes during the second half of your sleep cycle is the “rebound effect”. Imbibing enough alcohol to reach a blood alcohol level of .06 to 0.8 within one hour of falling asleep helps induce sleep. However, once your body processes the alcohol, it will wake you up four to five hours later and interrupt the later part of the night, when you spend more time in REM sleep. Your body is easily stimulated by your environment once it processes the alcohol. As a result, people who drink alcohol often wake up during the night or find themselves disturbed more easily. Alcohol tends to be metabolized quickly, so halfway through the night the concentration of alcohol in the bloodstream is down to approximately zero. The metabolites are still around and the effects of the alcohol persist (that’s where hangovers come from). Over time, insomnia can occur due to the early waking from REM sleep. There is some evidence that men and women are affected differently by alcohol. A study on young adult women showed alcohol increased their time in deep sleep, while reducing REM sleep. Men, on the other hand, experienced a decrease in both deep and REM sleep after drinking. But, these are very general trends, and individuals differ widely in their reactions. A more recent study found women’s sleep is affected more by alcohol than men’s. This could be due to the fact that women metabolize alcohol faster than men. Women are also more prone to insomnia, which often coexists with alcoholism. Does alcohol help you sleep better? As you can see, using alcohol as a sleep aid is not an ideal solution as it can negatively impact both the quality of your sleep and your overall health. So, you don’t need to drink to fall asleep faster. 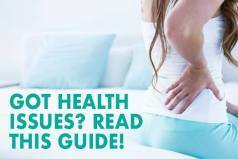 There are many other options that can help you, and simply purchasing a new high-quality mattress is one of them. A comfortable new mattress capable of meeting all your needs and sleep preferences will lull you into sleep within minutes and keep you asleep all night long. 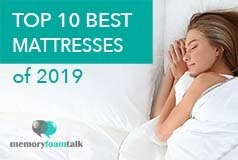 To find one for your specific needs read our mattress reviews and pick the mattress that will perfectly work for you.